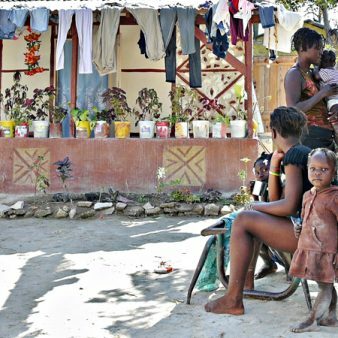 A practical guide explaining clearly and simply how the houses in this low-cost typhoon resistant housing programme are built, together with background information on the financing and social preparation involved in the programme. Disasters can rarely be prevented, but their effects can certainly be mitigated. The Core Shelter Project in the Philippines provides an excellent example of how, at low-cost, poor families can provide themselves with structurally strong shelters capable of resisting typhoons of up to 180 kph. The Core Shelter Project was instigated by the Department of Social Welfare and Development of the Philippines in order to provide a long-term common sense approach to the task of re-housing typhoon victims. This it did by enabling families to provide their own permanent shelters which would not simply be destroyed in the next typhoon. Started in 1988, there are now 30,000 shelters built throughout the Philippines, none have been destroyed by subsequent typhoons and the work is continuing. The achievements of this project were recognised internationally in 1990 when it received the World Habitat Award for its innovative and effective housing solution. Designed in collaboration with Professor Dr. Satyendra P. Gupta presently with the School of Civil Engineering, Asia Institute of Technology, Bangkok, Thailand, the Core Shelter houses are simple and inexpensive and built using local materials. Families build the houses themselves with the help of friends and neighbours and technical guidance from local foremen. 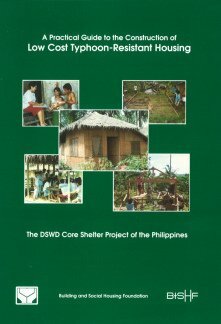 The success of the project is measured not only in terms of the numbers of typhoon resistant shelters built but also in terms of the increase in the skills and self-reliance of the families involved, in the successful mobilisation of communities to meet their own needs and in the income generating opportunities created for desperately poor families. This guide explains clearly and simply how the project is organised and how the houses are built. It is produced in order that the project can be adapted and replicated worldwide for the relief of the many millions of desperately poor families whose lives are regularly devastated by typhoons.